Right here is where you can find everything from modern muscle car tunes, to the exotics, and back in time on some of the world's most interesting rides. 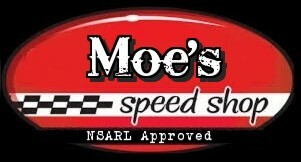 Moe's Speed Shop offers a variety of balanced tunes for all driving styles and experience levels. Give our tunes a shot and tell us what you think, and we would appreciate a kind "Like" once you've downloaded a Moe's Speed Shop tune. Be sure to "Follow" and keep up on all the latest updates. You can find Moe's Speed Shop tunes in the Forza 6 tune shop, search gamertag: Moesavy and enjoy.